It’s the most wonderful time of the year! I absolutely love the Holidays and consider it my duty to make it a magical experience for my boys. Merging family traditions with my wife can occasionally be challenging, but for the most part extremely fun because you get to choose best of both worlds. Making the front cover of our family Christmas card; this was new for this year and turned out to be an enjoyable experience. It’s basically an art project, but because the drawing will be uploaded as the front cover of our card it has added value and purpose. I didn’t challenge the imagination too much this year but anticipate we’ll try and introduce some storytelling elements in the future. They’re currently in the post but I’m looking forward to showing him so that he can make the connection that he’s a ‘Maker’. Writing a letter to Santa; this should go beyond the writing of a list of presents, which I’ve been told by many parents helps install the ‘I want…’ attitude in later years. Instead this year we wrote a letter telling Santa we’ll be in London, England and will leave him a Mince Pie this year as opposed to a cookie. However, I think that this is another opportunity to tell a story, draw a picture, or write a story to Santa. Choosing Christmas presents that cultivate creative thinking; I’m going to write another article with some gift ideas that I’ve identified as being particularly helpful when trying to cultivate creative thinking in our little ones. For now I would just say that all children should open gifts that engage the imagination, use fantasy, and have some elements of making, problem-solving, or stimulating curiosity and wonder. Making, Making, and Making; The Maker Movement has renewed in purpose and energy since the birth of the World Wide Web and other digital technologies. 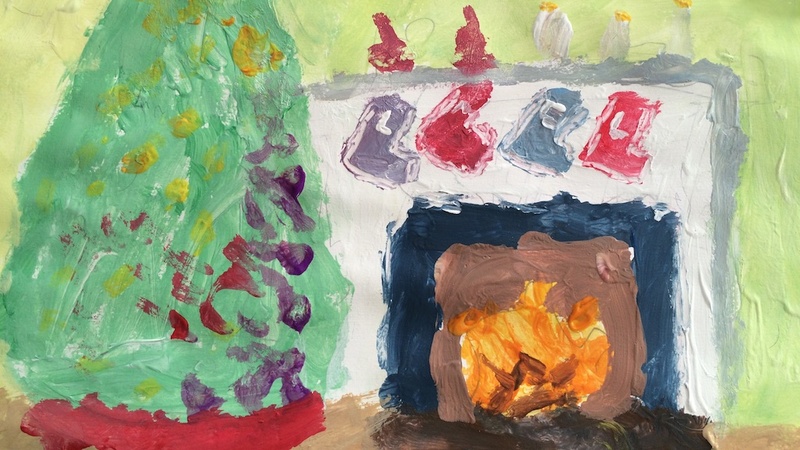 For children below five, making a Ginger Bread House, decorations for the tree or doing some cooking all encourage kids to make and engage in problem-solving. For older children I’m getting particularly intrigued by 3D Printing and plan in the future to make presents for my boys using a 3D application like Blender, or to take my boys down to a 3D printing shop such as the Maker Bot store in Greenwich, CT and have them make decorations or stocking fillers. I’m really excited to see how this one develops and hopefully will be writing bout it this time next year. 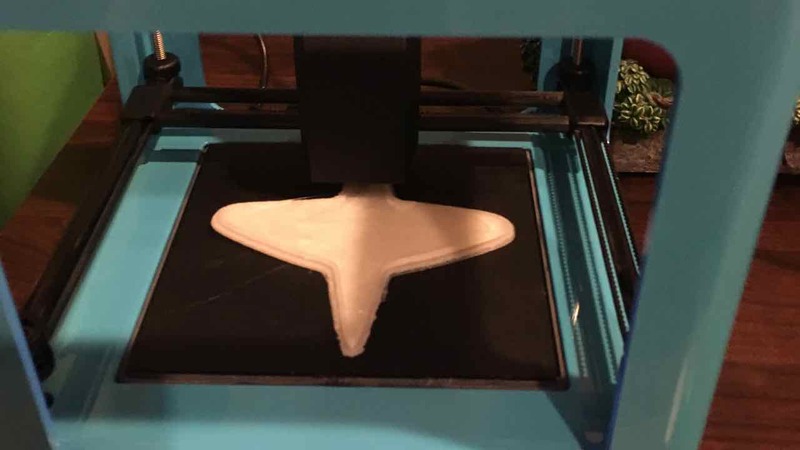 A 3D printer has just begun to print a toy plane for my eldest. Make a Christmas Story; this is still in development. I’m hoping to identify time over the next ten days before we jet off to the UK to make a book. I’m still not sure if we’ll make an eBook using Apple Author, or if it will just be made up of pictures and published via iPhone, but I’m going to work with Lucas to create a story of Christmas, and obviously as we get a little older I hope the stories will capture some of the values that we hold so dearly during this time of the year. 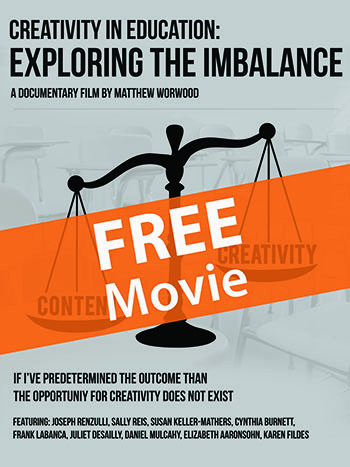 Please feel free to share how you plan on cultivating creativity this Christmas. I’m only three years into being a Daddy at this time of the year so am looking for lots more suggestions. I love the idea of focusing energy on cultivating creativity at Christmas rather than buying into all the commercialism of the holidays! 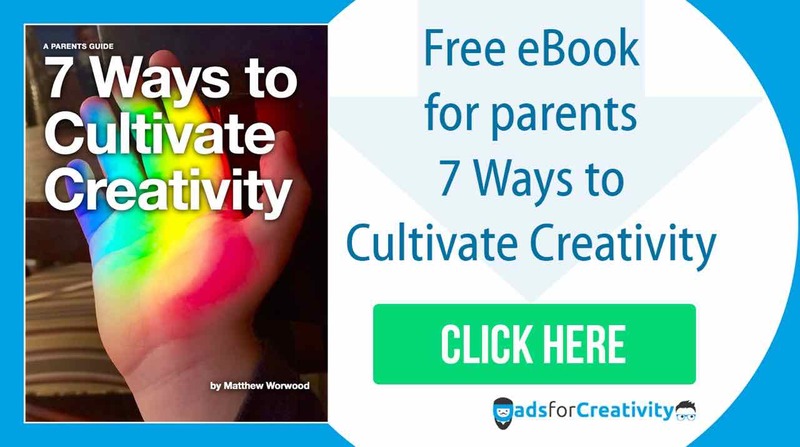 The five suggestions in the post for creative activities that families can initiate as true traditions are fantastic and can evolve as children grow older. Making, making and making is perfect! The other night we composed a song around the dining room table and used make-shift instruments to create a fun-filled rhythm. Music can be gateway to so many creative activities. Gifts that engage the imagination such as sets of markers, pastels and paints offer so many opportunities for kids. Why not give certain of these gifts a few weeks before the holidays so kids (and parents) can use these “early” presents to create presents for other family members and friends. The most wonderful gifts I’ve received from my daughter have always been things she has made, drawn, composed, or built. We always encourage incorporating objects. Here’s a fun activity – create “something” using only found objects from the outdoors! throughout the last 5 years and years when i spend half committed crashing and the better half trying to recuperate. This really is nice write, I’m going shaire the item for my very own frinds. I absolutely love your blog and find a lot of your post’s to be precisely what I’m looking for. Would you offer guest writers to write content for you? I wouldn’t mind composing a post or elaborating on a lot of the subjects you write in relation to here. Again, awesome blog!